Parents with active Toddlers this class is for you! A Toddler Gym that provides the perfect balance of fun, active play and quiet, peaceful mindfulness to help them grow in to a healthy, active child. 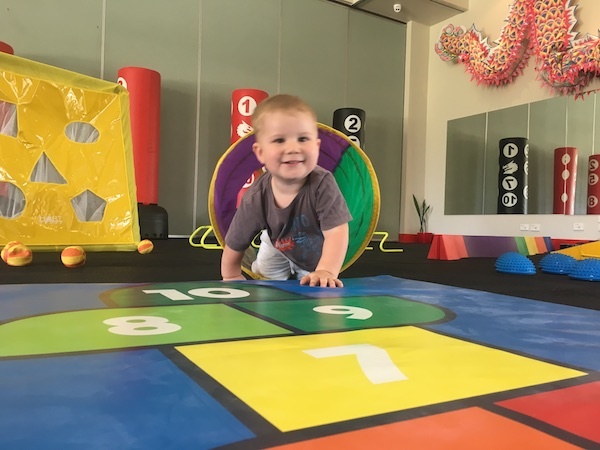 Our Toddler Gym Gold Coast instructors guide you and your child through a range of animal inspired moves in a space that allows them to crawl, crouch, climb, run, jump, and tumble. Our number one priority is fostering a fun and safe environment where kids naturally thrive. With a focus on martial morality, classes aim to develop listening skills, courage and concentration while providing a good workout that builds coordination, motor skills, balance, flexibility and fitness. We cultivate kids who have respect and appreciation for parents, teachers, instructors and other mentors, nurturing character development that will help your child to lead a successful life well into the future. Our Toddler Gym Gold Coast classes are suitable for boys and girls aged 18 months – 4 years.